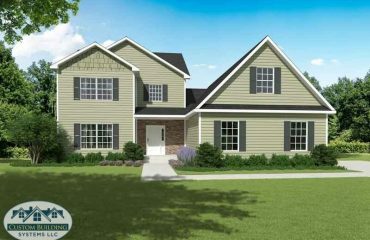 The Grant offers a grand floor plan with 4 bedrooms, 3.5 bathrooms, family room, living room, formal dining room, breakfast nook, large kitchen with an island and pantry, attached 473 square foot garage and mudroom, open foyer and an luxurious master suite and walk in closet. A beautiful 4 unit three story townhouse. 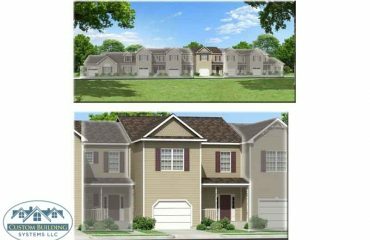 Each unit has 3 bedrooms, 2 full bathrooms and 2 half baths. The first floor has an attached garage and optional 4th bedroom. 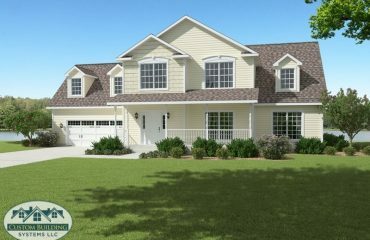 The second floor has a large living room, breakfast nook, family room and half bath. The third level has a laundry area, two bedrooms and a large master suite with walk in closet. 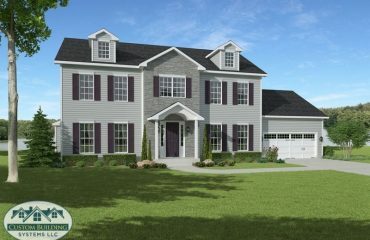 Grand two story, 4 bedroom, 2.5 bath modular with open floor plan. Large kitchen with breakfast nook opens into a large family room and formal dining room. Large first floor master suite with walk in closet and garden tub. 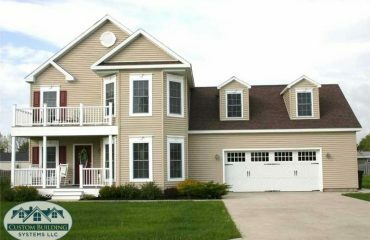 Open two story foyer that leads up to 3 bedrooms with walk in closets and a large storage area over the garage. 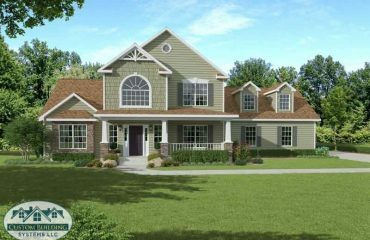 This beautiful two story modular home makes a statement from the time you enter the large two story foyer with open staircase. Continuing through the home you find large living spaces including a formal dining room, large kitchen with ample room that leads into a breakfast nook and large family room. 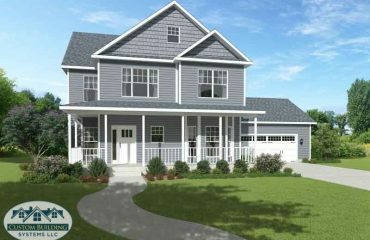 This floor plan also offers a laundry area and attached garage. The master bedroom suite has two walk in closets. The space just keeps coming as you ascend the steps to 3 more bedrooms and 2 large bonus rooms. This two story modular offers an open floor plan. Large family room open to a formal dining area as well as a large kitchen with peninsula seating. 2 care attached garage with an entrance through a mud room. Large study and laundry room off the kitchen. All bedrooms have walk in closets. The Monroe offers space for all your family needs. 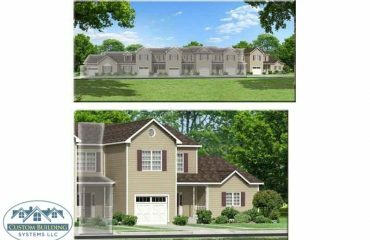 This two story modular offers a large first floor master suite and 3 spacious bedrooms on the second floor. A full laundry room off the 575 square foot garage. A study and dining room as well as a huge bonus room over the garage. Everyone has their space in this large two story modular home. 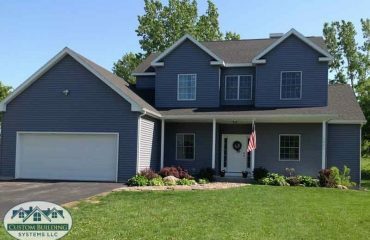 Downstairs has an open floor plan with a formal dining room, great room with fireplace, laundry room and an optional 458 square foot garage as well as a large master suite with walk in closet and garden tub. The second floor has another bedroom suite with walk in closet and a third bedroom with nearby bathroom. An end unit of a 6 unit multi-family modular home. 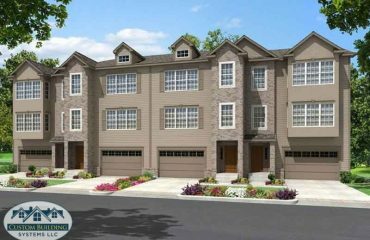 This two story unit has an attached garage, laundry room, two story foyer, open kitchen, dining room and living room. There is a large master suite with two walk in closets, a large master bathroom with garden tub and shower. The second floor has 2 bedrooms and a bathroom as well as a family room. A center unit of a 6 unit multi-family modular townhouse. These units have an attached garage, open kitchen, dining room, living room, laundry room and two story foyer. The second floor has a large master suite, two other bedrooms, sitting room, and second bathroom.